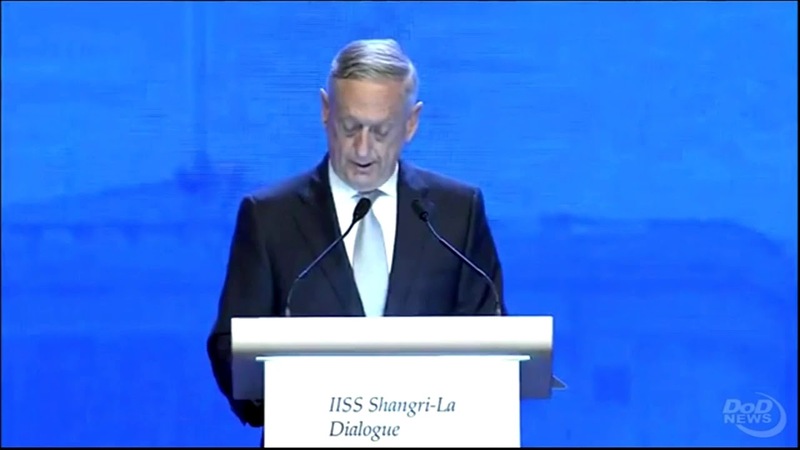 Addressing the 2018 International Institute for Strategic Studies Shangri-La Dialogue, the secretary said the Indo-Pacific strategy stands in firm support of America's recently released National Defense strategy. And both strategies affirm that the Indo-Pacific region is critical for America's continued stability, security and prosperity, he added. “In [America's Indo-Pacific strategy], we see deepening alliances and partnerships as a priority. [The Association of Southeast Asian Nations’] centrality remains vital and cooperation with China is welcome wherever possible,” the secretary said. “So, make no mistake -- America is in the Indo-Pacific to stay,” he noted. -- Expanding attention on the maritime space: “The maritime commons is a global good, and the sea lanes of communication are the arteries of economic vitality for all,” he said. -- Interoperability: The United States recognizes a network of allies and partners is a force multiplier for peace, the secretary said. “Through our security cooperation, we are building closer relationships between our militaries and our economies, all of which contribute to enduring trust,” he added. -- Strengthening the rule of law, civil society and transparent governance: “This is the sunlight that exposes the malign influence that threatens sustainable economic development,” Mattis said. -- Private sector-led development: The United States recognizes the region’s need for greater investment, including infrastructure, he noted, adding, “We are reinvigorating our development and finance institutions to enable us to be better, more responsive partners. 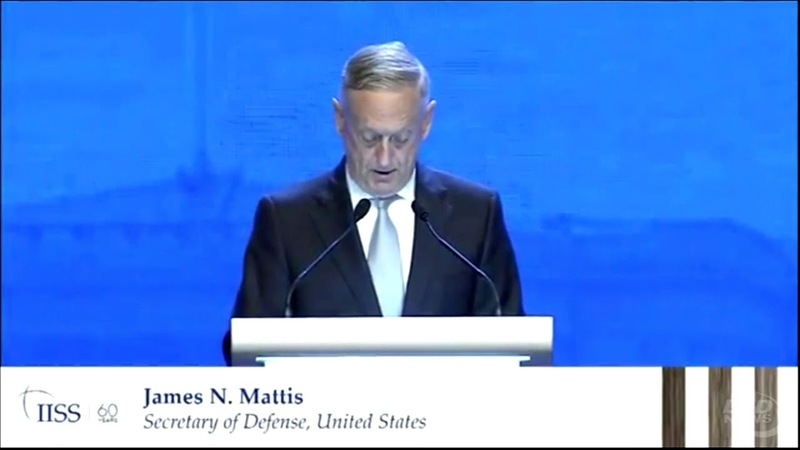 “Alongside our allies and partners, America remains committed to maintaining the region’s security, its stability and its economic prosperity -- a view that transcends America’s political transitions, and will continue to enjoy Washington’s strong bipartisan support,” Mattis said.